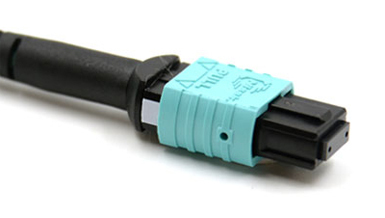 MPOs are classified by the guide pins on the end of the connector, and require 1 male and 1 female to mate properly. 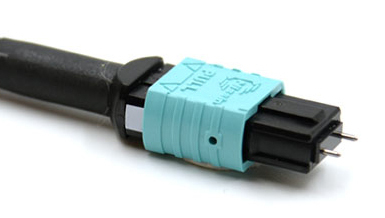 MPO connectors use a “barrel sleeve” adapter that simply holds one male and one female MPO “plug” together. The male guide pins fit into the female holes to ensure precise fiber alignment. 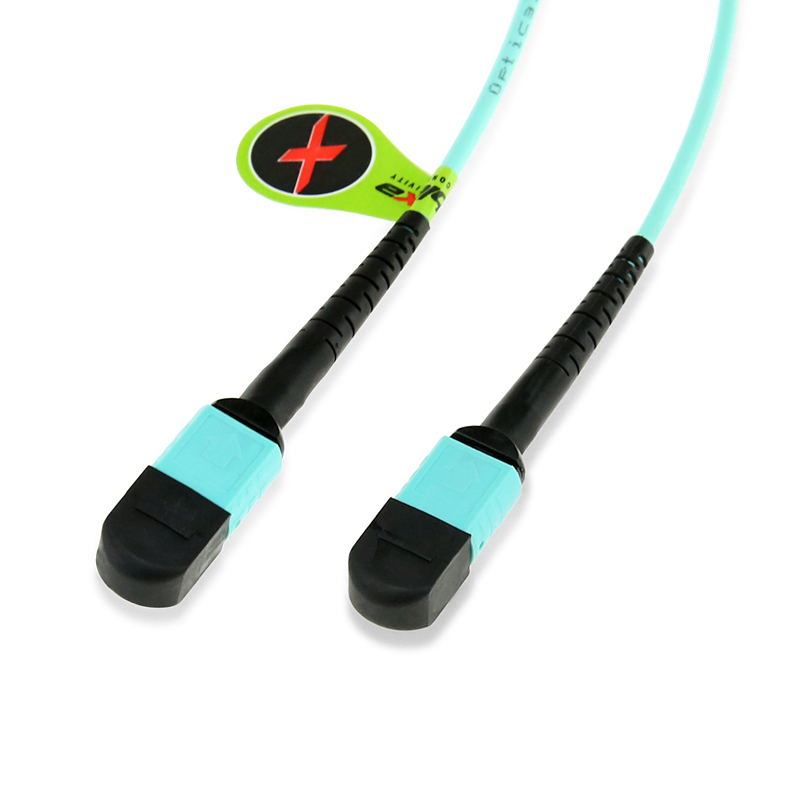 Attempting to mate two female connectors will result in a seemingly secure connection, but with extremely high loss, and attempting to mate two male connectors will most likely damage one or both connectors due to the guide pins clashing. Transceivers and cassettes come with the sleeve adapter built in, and the industry standard is a male conection on the inside. 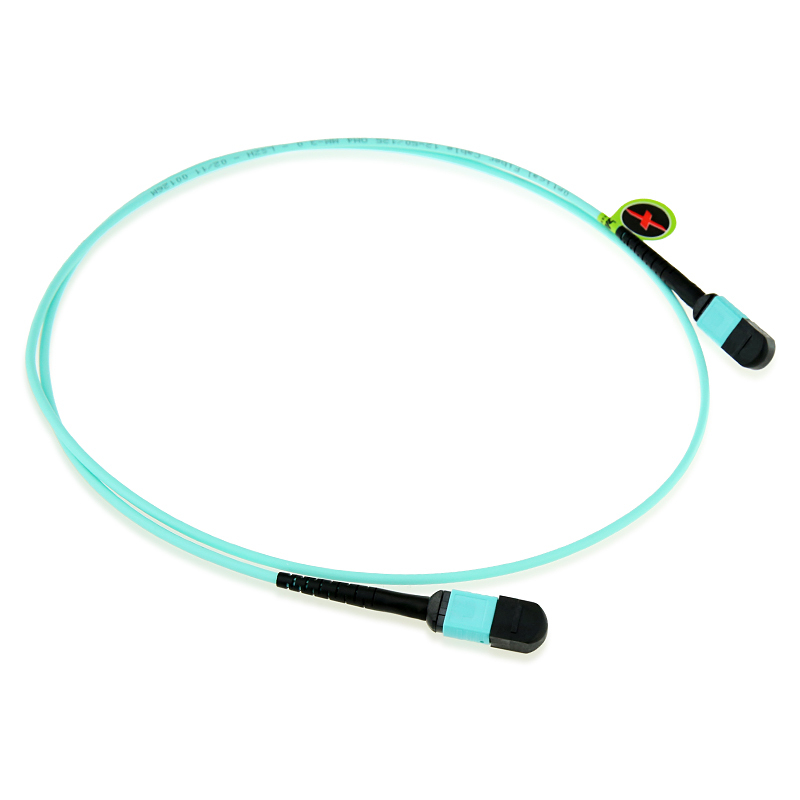 Therefore, the standard for cables is female to female. This changes, however, when you need to extend a cable or connect two cables. You will then need a male to female cable plus adapter. 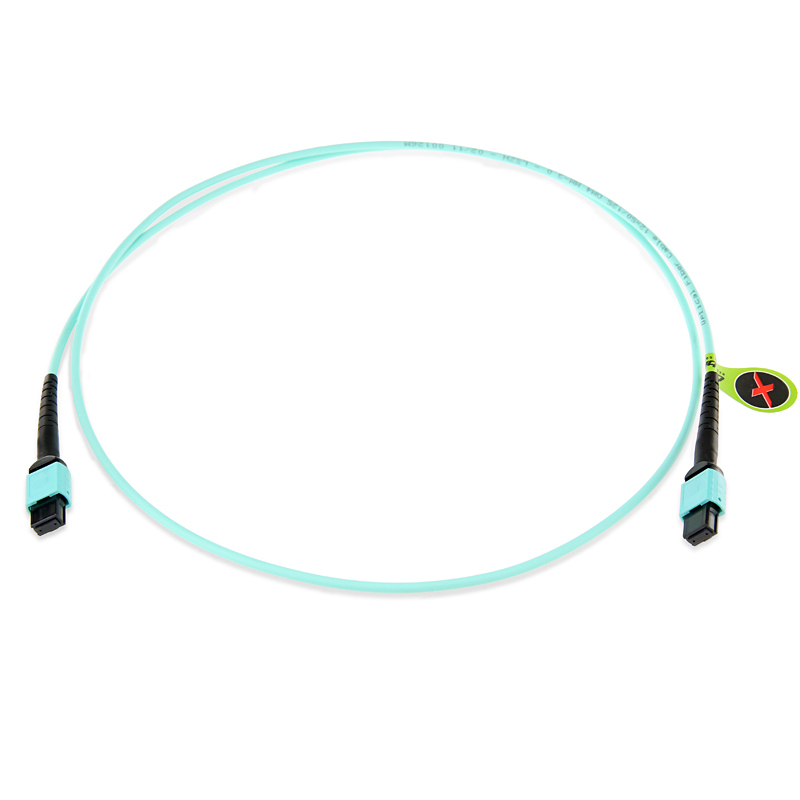 If you’re designing a multi-ferrule MPO trunk backbone cable, you might consider making this male to male, then patching to your hardware with female to female cables. We offer all combinations of genders, so contact us with your needs and we will be able to customize these for you. 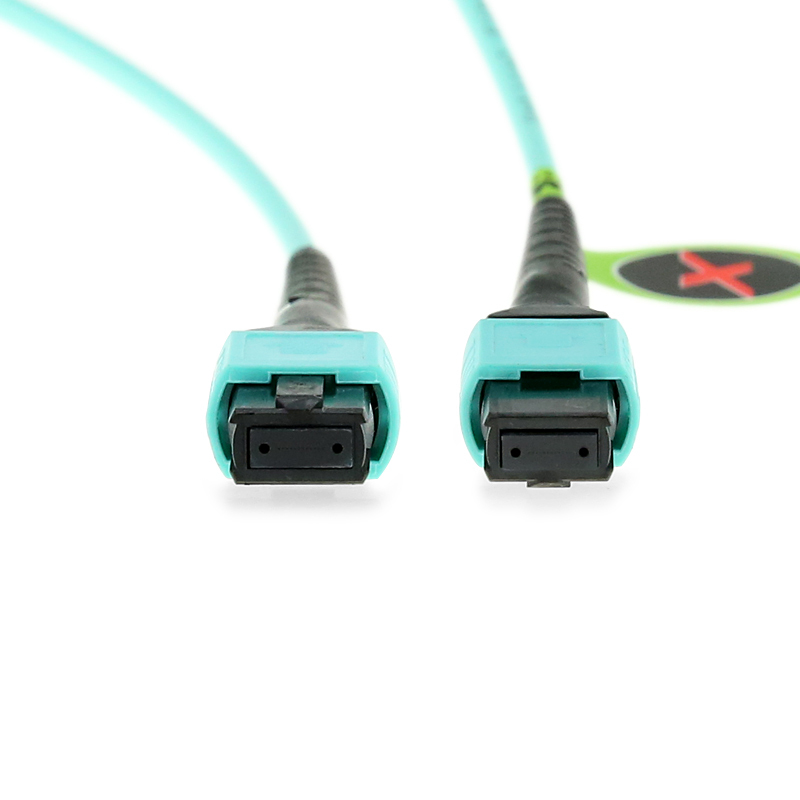 MPO connectors have a key on one of the flat sides added by the body, and the orientation of this key determines the cable’s polarity. MPO and MTP connectors also have a white dot on one side of the connector to denote where pin 1 is. Please Note: When it is connected with two 40G QSFP+ transceivers, please choose the Method B as polarity; when it is connected with other equipment such as MPO Cassettes, you can choose any of the polarities as you need. Fiber Count 8, 12, 24, etc. 8, 12, 24, etc. 8, 12, 24, etc. Fiber Type G652D, G657A1 etc. G652D, G657A1 etc. OM1, OM2, OM3 etc. While singlemode is optimized for long range data transfer, multimodes are designed with high-bandwidth short range optimization in mind. 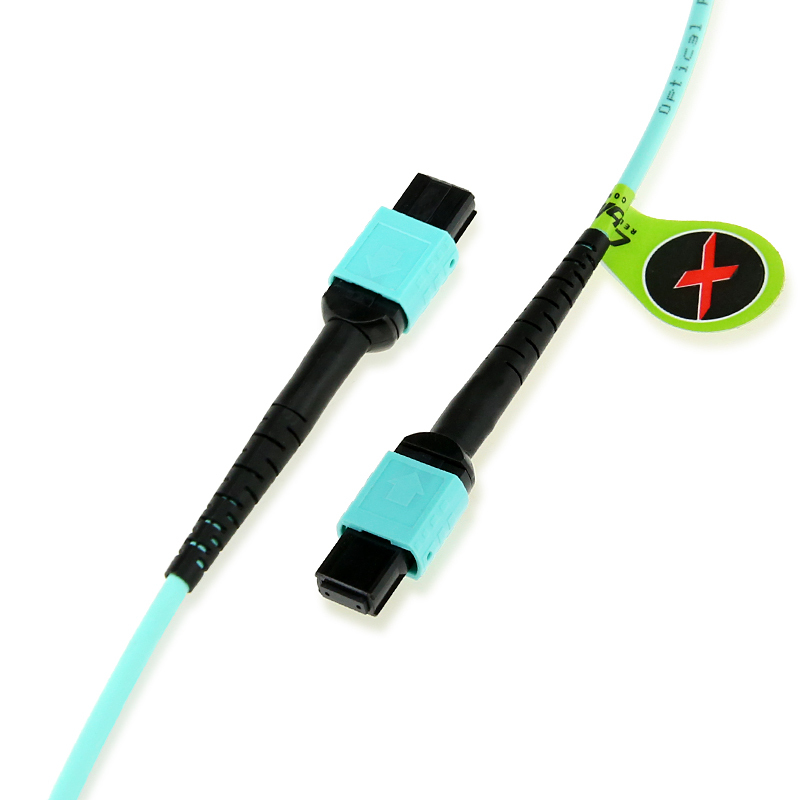 OM1 is a 62.5/125μm fiber core, with the jacket usually cladded in orange. This is typically found in older applications where high bandwidth isn’t a priority. OM2 is the first variant of 50/125μm, usually also orange, but widely unused. OM2 offers modest improvement over OM1, however OM3 is leaps and bounds ahead with not much more cost. OM3 is a laser optimized variant of 50/125μm multimode, and is the first fiber mode that supports 10Gb/40Gb/100Gb Ethernet. A recent addition to the lineup is OM4, which offers a longer range than OM3. It should be noted that OM3 and OM4 are cross-compatible, and while OM4 is only needed for distances that exceed OM3 capabilities, it can still be used for shorter connections.